7 Misconceptions about Senior Living — Debunked! Assisted Living in Houston — what to consider? Senior Living Options — Skip to Senior living overview. Continuum of Care Options — Types of senior housing and care options. Financial Considerations - Financial questions explored. Food & Dining Amenities — What you should ask. Activities Program Benefits Explored — Why social living is beneficial for seniors. Assisted Living Staff Contributes to Resident Satisfaction — Learn why. Bottom Line 'make or break' Items — What are they? Visit & Learn! — Why lunch & a tour is helpful. Late-life transitions can be difficult. Making the right assisted living or retirement home choice for your particular circumstance deserves careful consideration. 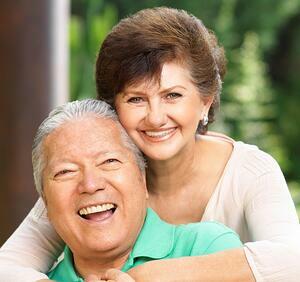 There are a plethora of options for senior living in Houston, TX. As an owner of assisted living and senior living communities with the perspective of having parents in their 80's, I’ve had the privilege of helping many seniors transition to a more supportive environment. The goal is to help seniors find the best option so they can make a long-term choice than ensures they are secure and content. As you peruse this e-Book, click on the bold text to delve deeper into a particular topic. I hope this resource page will help you focus on the factors most important to making a successful decision for you or your loved ones. To learn more, view the Top 5 Reasons for Seniors to Move Now. Many people searching for senior living options in Houston, TX struggle to determine if they are ready for a full amenity retirement home option or want an independent living apartment in a 55+ community with fewer amenities. What drives such a choice? The decision can be based on a near-term question of having experienced a health issue and desire to feel “safe.” This brings to mind Joanne, a young 70ish senior, who came to a retirement community via its nursing home due to a health issue. She recovered and now feels safer in an independent living community. The decision can also be based on a “look to the future” and whether you have the desire to make a longer-term assisted living choice that will make you feel “secure” as your health care needs change. This brings to mind a couple, Gene and Patricia. They made a move when Patricia was in the early stage of Alzheimer’s as they wanted to make the decision to move, and not leave it to their children. Then there are other seniors like Paula and Ray, who transitioned while completely healthy, to downsize and plan for the future. Much depends on one’s outlook. Healthy, “younger” seniors age 55 to 75 years of age, who have never experienced a health issue, may not yet be ready to be concerned about aging in place. First, does the community have the option for additional care should the need arise? My 80-year old Mom clues me in to issues of concern to seniors in transition. My mom mentioned that her long-time tennis, mah jongg playing friend Helen is moving to a 55+ community that has minimal options for additional care when the need arises. The truth is my mom thinks Helen is frail and needs additional care now, as do Helen’s adult children. Helen has decided, however, to move into a 55+ “buy-in” community with no additional care options. My Mom is concerned that Helen is making a commitment with a large down payment on this senior living community that provides few, if any, options for when Helen can no longer live independently. Second, does the senior living community offer dining room, housekeeping, transportation, activities and other amenities as part of its monthly rent? Are these amenities of value to you? Then, from a budget perspective, how does an independent living apartment compare, to the cost of a more supportive, senior living or assisted living Houston option? Many 55+ communities are beautifully designed, with pool, tennis courts and club houses. They are for seniors who are under 70 who have not yet experienced any significant health concerns. The senior apartments are often larger than a traditional senior living or retirement community apartment, with nicely equipped, full kitchens. Typically, however, they offer no meal plan (or a minimal one), housekeeping or transportation services. They might offer emergency pull cords in the apartments. In the assisted living community business, we often get inquiries from seniors or their family members, puzzled about the independent living services that are included as part of a retirement community or assisted living facility in Houston, TX. Prospects often ask the price of a one or two-bedroom apartment. If they are looking for a basic senior apartment without any services, the price quoted is often higher than they expect. The reason is that senior living communities offer a higher level of amenities than does a senior housing or senior independent living apartment complex. Many seniors choose an independent living apartment in Houston, TX because they believe the cost of living will be less. Often when one compares the cost of the amenities of leasing a $800-$1000 apartment versus choosing a retirement home apartment, the benefits of the latter become apparent. For a more detailed comparison of a senior’s potential budget in an Senior Apartment versus a senior living community with amenities, please refer to Chapter 5: Your Financial Questions Explored. Continuum of Care Options — Types of Senior Housing and Care Options to ponder. have their address change as their care needs do. What options are provided to support Independent Living apartment residents to age in place? Senior Independent Apartments. Independent living or assisted living can mean many things. But foremost is the option of the retirement community providing a private apartment that includes meals (preferably 3 meals a day/7 days a week), weekly housekeeping, transportation to doctors and shopping, activities and entertainment. Many retirement homes also have a beauty shop, a gift shop, a library, and other amenities so seniors can stay independent longer in their apartments, even if they no longer drive. A key benefit is that residents no longer have to maintain the upkeep of a home and can enjoy maintenance-free living in their retirement years. The existence of these supportive services, amenities and opportunities to socialize with fellow residents can help keep seniors healthy and active in their own apartment. Read The 5 Signs its Time to Transition to Senior Living to determine whether it’s time to start creating good memories in a senior-living community. Independence Plus. Can residents move into an Independent Living apartment knowing they have the option of requesting home health care services now or down the road as their health needs change? Does the community you are considering have an on-premise Home Health Care Company to provide additional Personal Assistance Services in a resident’s apartment? Such services might include assistance with medication reminders or bathing or dressing in the senior’s apartment. If more support care is needed, does the preferred Home Health Company provide private caregivers 24 hours a day at a competitive cost, as offered at Treemont? Home health companies can also work closely with your doctor to help identify service needs that can be provided under the Medicare program, including physical, occupational or speech therapy as well as nursing care. 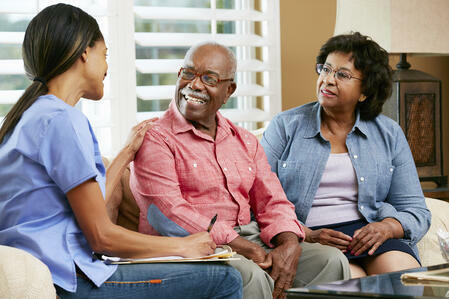 Ask if the community or home health company has a doctor who makes visits to the community. This so-called “Independence Plus” option, that offers both Personal Assistance Services and Medicare Home Health Care, permits seniors to remain independent longer in their apartment, often at a lower cost than traditional assisted living. Safety and ‘Peace-of-Mind” Programs. When you are looking at an independent living or retirement community, what types of safety programs are available to provide more peace-of-mind than if you lived in a senior apartment? For example, does it offer a type of safety check. One community initiated a “9 o’clock Safety Check Program.” This optional twice daily check program asks participating senior residents to place a card on the outside of the door handle of their apartment. Put the card out at 9pm and remove by 9am. An assisted living staff person will check that your card is out or removed at the appropriate time. If not, the staffer will knock on a resident’s door. If you don’t answer, the staff person will enter and check on the resident. This program, and the multiple service options with a home health company on premise, provides the peace-of-mind many seniors and family members seek when searching for an assisted living or retirement home. If a resident’s health should change, such that the resident can no longer be served by home health care or extended caretakers, does the community have a higher level of care? For example, does the retirement home offer the option of traditional Assisted living or Skilled Nursing & Rehabilitation on the same campus? What is the quality of its therapy program? Assisted Living Services. At times, seniors need more care than can be provided in a senior independent living apartment. When this occurs, is there an option to get a higher assisted living facility on the same campus? Having an assisted living facility on campus provides the ‘peace-of-mind’ alternative for seniors who can no longer live independently at home, as they require monitoring of daily living tasks or are a fall risk. Working with the family, Treemont develops a tailored, personalized care plan to provide just the right amount of care for each resident. 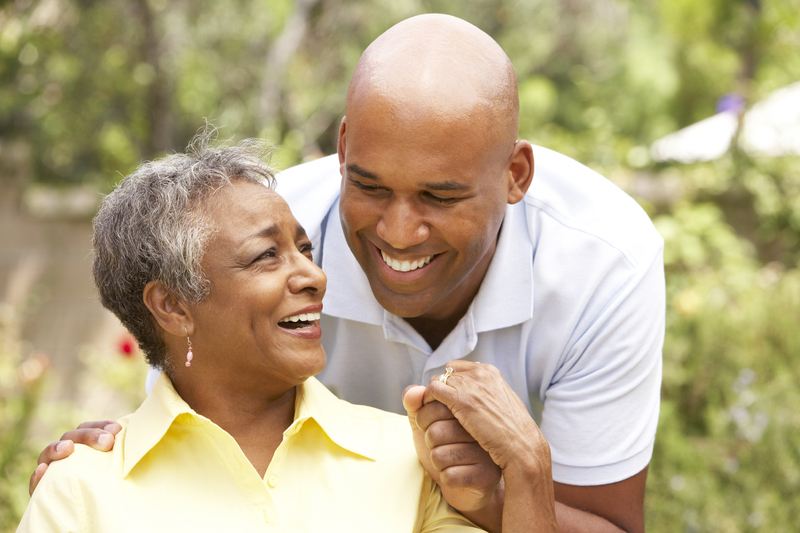 Treemont also provides “respite services” for when family caregivers need short-term support. Nursing & Rehabilitation. If a resident’s health declines and they need full-time nursing care, is this option available on campus or do they have to find a new home? For couples, it is common for one partner to live in independent living and the other to visit their partner daily in the assisted living or skilled nursing facility next door. If an independent living resident falls and breaks a hip, is there the option to go to rehab on the same campus and then transition back to one’s own apartment? Ask questions about the nursing home’s rehabilitation program. 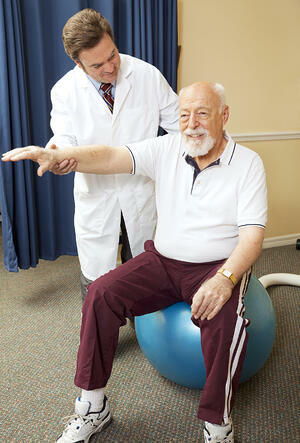 Does the rehab team know how to make the exercises fun so residents get better? Is the rehab team committed getting the residents to do their rehab exercises so they can return the senior to their functional level before their fall or illness? Ask to speak with residents who have moved between nursing, assisted living and independent living on the campus. Another question to ask is how the community handles residents who have developed Alzheimer's? 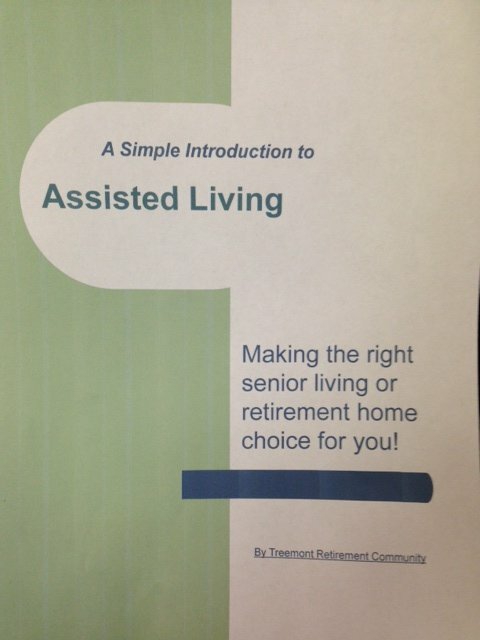 Can they be accommodated in assisted living or nursing? 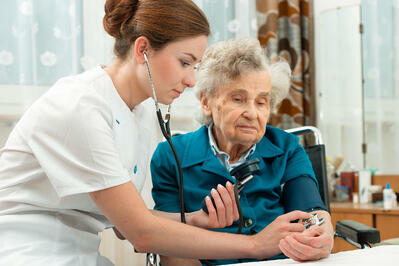 Can they be accommodated in independent living with home health care in their apartment? Is there a secure memory care facility available? Do they participate in a Music & Memory Program to provide comfort and support to those with memory issues? Financial Considerations - Your financial questions explored. Money is always a criterion in any buying decision. It is certainly a high priority in senior living housing decisions as most seniors are on a fixed income and want their savings to last as long as possible. It’s time to consider moving to a retirement home in Houston, TX. What questions should you ask to better prepare yourself for visits to senior living communities? Some of the higher end retirement communities require a large, upfront “buy-in” of $250,000 to $500,000. This is in addition to a monthly apartment fee for services of $3,000 or more for amenities such as meals, transportation, housekeeping and utilities. This “buy-in” fee may be refundable at 90% to 100% to the resident’s heirs. It also may require the apartment to be sold to another customer before the buy-in fee is refunded. Some buy-in fees are reimbursed upon passing away, some are not. Good to ask. Ask if the refund is contingent about leasing your apartment. If the community is not full and is looking to lease “newer” apartments, then your apartment may take a back seat to newer “buy-in” apartment sales and result in a delay of payment to your estate. A common misconception is that all CCRCs are buy-in communities. Not true. There are CCRCs that do not require a buy-in and just require an annual lease agreement. Both high-end and moderately priced senior living communities often require a simple lease agreement. A senior apartment rental typically calls for a one-year lease, similar to a traditional apartment lease. Ask if you are bound by the annual lease or if you can give a 30-day notice should your health or other situation change. This is an important question for seniors whose health situation may change quickly. Find out what is included in the monthly payment: meals, house-keeping, transportation, activities, emergency call system in apartment, complimentary laundry room, utilities, carpeting, window treatments and individual apartment thermostats. Many people searching for senior living options struggle to determine if they are ready for a full amenity retirement home option or want an independent living apartment in a 55+ community with fewer amenities. There is the perception that an independent apartment is less expensive than a full service retirement home. In some cases, this might be right. However, if one compares apples to apples in a typical senior’s monthly budget, one might discover the savings of staying home may be less than senior living. If you are concerned about the cost of assisted living in Houston, TX, it is important to compare the daily living costs. A full-service senior living apartment in Houston, TX can start at $1,600/monthly. If you are spending $800 to $1,000 on an independent living apartment, you may be getting much more for your money by choosing a full-service retirement community living apartment in Houston, TX. If you are still residing in your large home, you might add in the upkeep and maintenance on an older home plus the maintenance and insurance cost of keeping your car. A community fee is often used to ensure a thriving activities program that serves the interests of a diverse community. Many residents develop new friendships late in life that bring much happiness than living on their own. The opportunity for socialization provided by an activities program is a key element of retirement community life. For more information on the value of Activities Programs for seniors in assisted living communities, please refer to Chapter 4: Activities Program Benefits Explored. Pet Fees. Is there a fee to have your pet live in your apartment? Is there a weight limit, often up to 20 pounds? Is this a one-time fee or a monthly fee? It is safe to say a one-time fee is probably more desirable than a monthly pet fee. Pets can be a treasured source of comfort as seniors’ transition to a new living environment. Residences that are pet-friendly are unique. The fee is often a modest one to cover wear and tear on an apartment. To read more about the therapeutic role pets can play in a senior’s life, click here. Parking Fee. Is there an opportunity to rent a parking space? Is the space covered or non-covered? Rental Insurance Requirement. As with any apartment rental, it is important to protect your personal valuables with a renter’s insurance policy. You might ask if renters insurance is mandatory or discretionary. 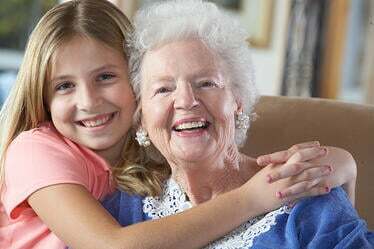 If you are concerned about the cost of assisted living in Houston, TX, it is important to analyze what your current and long-term emotional and care needs might be. Try to make a realistic decision rather than an emotional one. Who are we kidding? Food is likely the #1 item people comment on in customer satisfaction surveys at retirement communities. There are up to 3 opportunities each day to delight or dismay one’s residents. Here are some basic questions to ask when you visit a retirement community. See response to each question in italics as they apply to Treemont Retirement Community, an assisted living Houston, TX community. How many meals do you serve a day? Most communities serve 2 meals a day, 5 days a week. Some serve 3 meals, 7 days a week. The main so-called "dinner" meal is served as lunch time. Do you have meals on weekends?Some yes, some no. Do you provide seated dining?Most do provide seated dining. Some provide lunch and dinner and self-serve for breakfast. .
Do you have the option of going through a buffet line?Most retirement communities offer seated dining, not buffet. Buffet often provides more choice and is consequently more expensive for the community to operate. What are the times that breakfast, lunch and dinner are served?Typical meal times are: Breakfast is 7am-9am; Lunch, Noon to 1pm for lunch. Dinner is served 5pm-6pm.Check this at each senior living community. Some communities only have two meals daily. Do residents have a dress code for meals?Some communities require suits and dresses only n the dining room. Others are more casual. Reflect if dressing up might be fun initially but might not be as appealing daily three months down the road. Can I get a tray-service delivered to my apartment? Is there a fee for this service?It depends. Don’t assume this is included in your service. Ask if you can get a complimentary tray-service delivery on an occasional basis if you are sick. Ask what the fee is for non-emergencies. It can range from $2.00 to $6.00 extra per service. What options are there for diabetics? Are there options for diabetics? Are the food options generally healthy with sufficient options for diabetics and others with particular dietary needs? Does the menu have a minimum of two proteins and two vegetables per meal? Does the dining room provide a club salad option or a fresh salad bar with multiple healthy salad options. We encourage you to speak with the Food Service Director if you have questions about your specific dietary requirements. Do you have healthy meal options? Are the vegetables always served with bacon or are fresh vegetables part of the regular menu options? Is gravy served with every entrée or can you have the sauce on the side? Is there a balanced combination of fish, chicken and beef on the menu? Are residents assigned a specific table in the dining room?In most cases, residents find it comforting to have assigned seating. Ask how the seating is assigned and by whom? How easy is it for residents to quickly change their seating assignment? Can I visit and join you for lunch so I can sample the food?Yes, absolutely. Click here to sign up for a lunch visit. We encourage you to tour and stay for lunch. A visit is often the best way to sample the food and get better acquainted with our community and its residents. Can I invite guests to dine with me? Typically the answer is Yes. Ask about the policy for guests. Do residents receive a couple of guest passes when they move in? Can residents can purchase guest passes at the Front Desk. What is the price of lunch and dinner? Is there a room to host family and friends for special occasions?Most communities have a room for residents to reserve for special events and parties. Find out the protocol for reserving the room and coordinating with the Food Service Director if you want the facility to cater your event. As stated upfront, Food is often the #1 item of importance in resident satisfaction surveys. There are multiple opportunities to delight or dismay one’s residents. Take the time to visit a couple of times and make sure you will be content with the menu selections. I asked my 80-year old Mom what she would look for in a retirement community. It surprised me that she wanted to make sure there was a robust activities program. As an avid attendee of seminars and events at her local Senior Center, Mom wanted to make sure her senior living community would continue its active activities program long after she moved in. She was concerned that the retirement home might run out of funds and skimp on this important item. Many communities have a “community fee” to support a wide range of activities for their residents. One can’t put a value on the importance of socialization. Select a community that places a value on keeping its residents entertained and active! 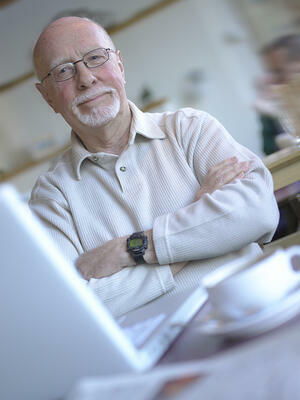 When people retire, they have the opportunity to devote time to hobbies and develop new interests. An active assisted living facility can provide the opportunity for both socialization with new people and the simple joy of playing bridge, mah jong or bingo. Studies show that if you stay social, it works your mind and makes you happy. As you search for an assisted living community in Houston, TX it is important to ask about the Activities Program and seek out what might interest you. It is also an opportunity to “volunteer” one’s talents to the community at large, in the gift shop, in calling bingo, to working the Front Desk to helping with a Life Transitions Group. One long-time gardener has helped to beautify her independent living community campus which has provided a source of pride for the residents and staff who have worked side-by-side with her. You might ask what types of activities occur around the holidays. Are there opportunities to celebrate with fellow residents? In general, senior living communities come alive during the holiday season. Read more about residents who forge close friendships and happily spend the holidays at their ”new” home with friends that have become family. Most communities will have holiday dinners. Make sure to ask if this includes parties with dancing and entertainment? What other holidays does the community celebrate? Treemont, for example, finds any opportunity to have an event celebration — from Super Bowl, to Mardi Gras, to Valentine’s Day to Halloween to St. Patrick’s Day. What happens year-round? Does the community plan Mardi Gras, Halloween, Valentines Day and other celebrations in addition to the traditional Thanksgiving, Easter and Christmas events? For example at one retirement community, there is no shortage of “excuses” to bring in the Good Times Band for an evening of music and dancing. The community has a dance floor in its auditorium and all residents are invited to put on their dancing shoes. Ask if there is a budget for this type of entertainment? Do they celebrate their “quiet veteran heroes” during Memorial Day and Veterans Day? 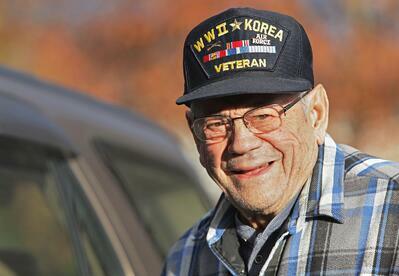 Read about the storied veterans at one community that are celebrated at a bi-monthly Greatest Generation Luncheon. Does the community offer weekly professional music entertainment on Fridays, Saturdays and Sundays? Independent living communities often bring in professional entertainment a few days a week. For one community, talented residents often launch into a spontaneous entertainment. See story about the Nelda Sims Trio with son and daughter, who perform often at their assisted living Houston TX residence. There should be the opportunity for experts in health and leisure, elder law and tax issues, current events, doctors and health officials, to host a public event to visit and share their ideas in an informative way. Many of these experts will conduct free educational seminars as it is a way to introduce themselves to the communities’ residents in a low-key, educational way. A community might have a Healthy Hints class weekly that brings in speakers to discuss topics ranging from “Alzheimer’s vs Dementia,” to “Healthy Eating,” to “Essential Legal Documents,” “Benefits of Chiropractor,” “Navigating the Medicare Maize, including Prescription Drug Coverage,” and “Veterans Benefits seminars,” and Breast Cancer Awareness Month. View a sample Activities Calendar. Does the community offer exercise and other programs to keep seniors active and engaged? The Houston Chronicle did a story on assisted living Houston TX activities; see “Community Provides Indoor Activities as Summer Heats Up." View a sampling of healthy classes offered at one community: Does the community offer bingo, bridge, card games, gardening, crafts and other programs that residents enjoy? Is there an active, religious program that includes Bible studies, diverse religious services at the community throughout the week to meet residents’ schedules? At Treemont, these programs are part of the weekly programming. Often times the talented residents share their musical talent, wood carving, art, gardening and other expertise with the community. Activity Director Aimee Dubuisson says, “Our seniors are certain that their contributions are not just brushed aside or a thing of the past. We honor their accomplishments by hanging their accomplishments on our walls, buying their handiwork at craft sales, featuring them in our marketing stories and showcasing them every day," Dubuisson said. "What they did in the past is important to us, but not nearly as important as how we honor them now and in the future. Sharing the talents of our residents gives us tremendous pride. We welcome and celebrate the gifts of their passions." I’d recommend asking to meet the Activities Director. This is often a key individual at the senior living community in terms of setting the tone for the community. Does he or she have a warmth and love for seniors? Is this their calling? There is so much to learn about senior living in Houston, TX to factor into your final decision. Meet the residents and meet the staff and Activities Director to see if they have the passion to make a retirement community “home.” See what Aimee has to say about why the community in which she works is a fascinating senior living community in Houston, TX. Retirement community residents become “family,” fostering new friendships and relationships as they transition to a mutually supportive lifestyle. Part of the glue that cements this feeling of fellowship and well-being is the staff at a senior living community in Houston, TX. At one community in Houston, about 40% of employees have worked for 10 years or more. A number have worked there for more than 30 years. Long-tenured employees help residents achieve a pleasant lifestyle and a high level of satisfaction. Does the Housekeeping Director set high standards for his team in terms of expectation for cleanliness, care and sensitivity to resident’s personal needs. Is the option provided to get weekly laundry service? Is linen changes part of the service fee or is it extra? For Treemont, the answer is Yes, Yes and Yes. What is the service like in the Dining Room? Are the wait staff attentive? Is there always a manager on duty to attend to resident questions? 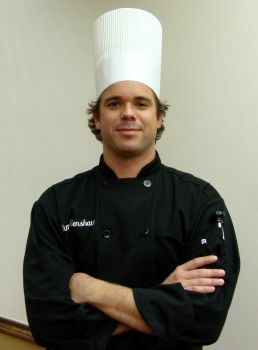 Is there continuity and longevity of the cooking staff? This is why you want to have lunch while touring, to see for yourself as we encourage at Treemont. Is the community pet-friendly? For some seniors, it is a sine quo non that their pet must move with them. Kitchenette versus a full-kitchen. Many senior living or assisted living apartments are smaller and have a kitchenette with a microwave and space for a Dutch cooker. If you must have an oven/stove, even with 3 meals provided daily, this can be a non-starter. The question here is whether there might be opportunities to cook that special meal at your son or daughter’s home. Is the full kitchen truly needed or are there other ways to achieve the same emotional benefit of cooking or baking, possibly at a son or daughter’s home? Do you want a high-rise building or a low-rise building? Are you able to walk out of the community and have your parking space nearby? Indoor vs Outdoor Corridors. For some, it is essential to be able to indoors walk to the dining room and other common areas, particularly during inclement weather. Location to doctors and hospitals, shopping and restaurants. The one way to overcome distance to your doctor is to see if the community has a doctor who visits who can become your new doctor. Does the community provide regular transportation for you? Is there a robust activity program at the retirement community? Studies have shown that the activities program is key to resident happiness. 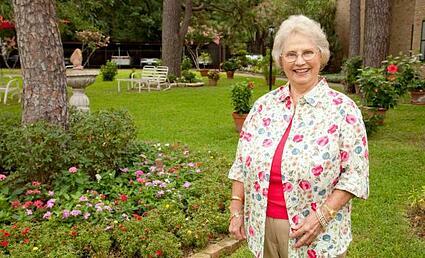 There are many factors to consider in choosing an assisted living community in Houston, TX. Your priorities might depend on your age, health, short and long-term outlook, finances, activities preferences and specific needs. There are also other objections that “adult children” might have to overcome. They may find it amusing — or frustrating — that their moms and dads, grandmas and grandfathers at age 90+, will walk into any senior living community and say, “I don’t want to live with all those ‘old folks.” Seniors view themselves as they looked 10 or 20 years ago. It is hard to tell an 80 or 90 year old individual that they might just look like the seniors in the community they just observed! Keep in mind that a larger community will often offer more people of all ages and interests with whom you can interact. It is always a wise move to take the time to visit the community a few times — have lunch, join an entertainment event, party or activity. Meet residents who have had illustrative careers in banking, oil and gas industry, teaching and other careers. Join their coffee klatches and see the camaraderie that has developed. 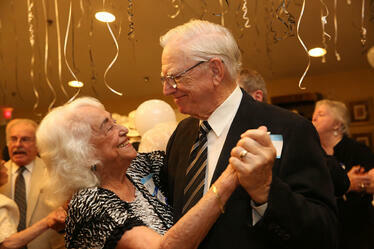 It is a joy to see the new friendships made among senior residents in assisted living communities. It is a pleasure to have seniors tell me how happy they are in their new residence — without the upkeep of their home — or having to worry about cooking meals. It is so hard to overcome the emotion of selling one’s 50-year home or downsizing from a large apartment to a smaller one. It is often harder to imagine that new friendships can be forged in one’s golden years. View story on the Golden Girls. Residing in an active senior living community in Houston, TX can be the best of all worlds…independence, activities, companionship, stability and great food! Plan to visit a few communities to determine which would be the best fit for you. Hear what residents have to say. The one complaint I’ve heard residents recall after moving in is, “I just wish I knew then what I know now….and if I did, the one thing I would have changed is I would have moved sooner!” This is the time to take the necessary steps to secure your lifestyle for the future. 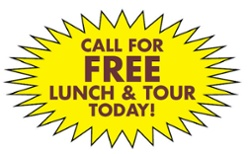 Take the first step by scheduling a free lunch and tour at several communities. 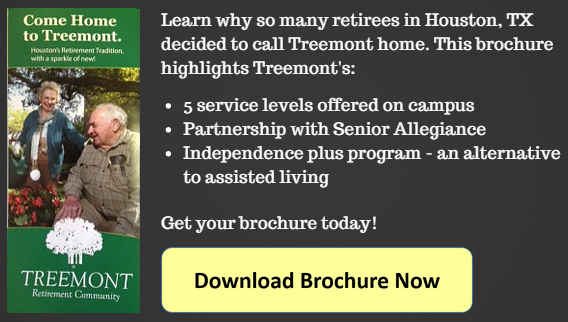 To learn more about Treemont Retirement Community, click to download a brochure below. If you are ready to take the next step, we’d like to meet you — and lunch is on us! Click to schedule a time convenient for you.